For those who are jumping into MS SQL 2008, here are two goo books to purchase. 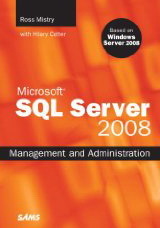 The first one, Microsoft SQL Server 2008 Management and Administration, is a complete, fast-paced, task-based reference you’ve been searching for. Ross Mistry presents proven techniques for SQL Servere 2008 installation, upgrades, backup/restore, data transfer, indexing and much more. 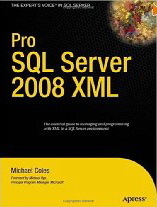 Another good one is the Pro SQL Server 2008 XML, where Michael Coles shows how to store XML using SQL Server’s built-in XML data type.